New Jersey is unlike any other state when buying a home ... there is attorney review, for example. It will be our job, as your realtors, to guide you through the process so that it is as painless as possible. It is always good to know what to expect. To that end I have written an outline of the Step-by-Step New Jersey Home Buying Process. So, you’re ready to buy your dream NJ home. Congratulations! You have the taken the all-important first step. The rest is not difficult and is outlined below. Whether you are a first-time buyer, or a repeat home buyer, this is helpful because not only do things change, but the laws and some of the processes and protocols change. Ask friends, colleagues, family. Ask many, not just a few. Remember that everyone has an opinion and it their opinion based on their outlook and experiences which may differ from yours (some people even like liver! ), but if you ask enough people you will get some excellent recommendations and notice trends. Search the web. 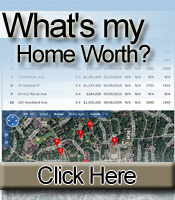 My website has access to home listings, demographics, photos and more. Of course there are many possible resources for information on the web – practically limitless! Drive around. Go ahead, get lost in the side streets, visit the downtown, shop in the supermarkets and shops, have lunch, talk to people, walk about, get a sense of the community. Ask me. I have lived and worked here for nearly all my life. Use me. I promise to give you the straight scoop or to tell you where to get it. Do this early in the process. Online calculators can help or contact me for a list of qualified, competitive mortgage professionals for a no-obligation consult about mortgage financing. Contact me for a list of qualified, competitive and professional loan officers to get this process underway smoothly. Experience – not all real estate agents have it and it makes a huge difference. We all have to start somewhere, but do you really want someone without experience learning via your home purchase? Would you choose a surgeon right out of medical school to operate on you? Buyer Representation – this is critical. You want your Broker to represent you, to guide you and advocate for you. Then in case of dual agency, treat you fairly and per the law. Get a clear explanation on how this works. An agent that can't explain it clearly cannot handle it properly. Education – experience is a great teacher, and education gives any profession superior understanding. There are many legal, environmental and technological issues that need to be known and understood to help guide you smoothly through the home buying process. Make sure your Realtor is keeping up with the changes. Does your Realtor abide by the National Association of Realtors Code of Ethics? This document provides clear guidelines for a business that can be sometimes confusing. Adherence to the Code ensures you and others are treated fairly. Does your Realtor sell real estate full time? You have too much at stake to hire someone who does this “on the side” and “dabbles” in real estate, even if they are your cousin. Most people find their new home within a 2 week period, depending on area and supply, of course. The average length of time from finding your home in NJ to closing is 60 days. Sometimes 30 or 90 days can be accommodated. It depends on the buyers’ and sellers’ needs and schedule. When do you want to move? This is the most fun part of the process. Be guided by your instincts and remember that there is no perfect home, but there is a perfect home in NJ for you at this time, within your budget. Once you’ve seen all the contenders and you’ve found the perfect house for you, the offer must be made in writing. There is a form contract to be filled out by your Realtor and it includes all the details of your offer: price, of course, but also mortgage terms, deposit amounts, closing date, inclusions, exclusions, inspection contingency and details, etc. Frequently your initial offer is countered by the seller. At that point, the price and terms are negotiated verbally and communicated through the Realtors from the seller to you and back and forth. Once the terms and price have been agreed to, both buyer and seller then sign and initial the revised contract. After the executed contract is delivered to buyer and seller, via fax or email or mail, the contract is then forwarded to both parties’ attorneys for their review. The review can take 3 business days, as the contract allows, or 3 hours or 30 days. The two latter options being most unusual. During this period, either party may cancel the contract without penalty or consequence. If you really want the home (and if you’ve gotten this far, you should be excited and happy), then you will want to promote a speedy attorney review and it is up to you, the buyer (as well as the seller) to help facilitate this process. A couple of important points when selecting an attorney to represent you: First, don’t go for the lowest price; 2nd, work with someone who specializes in real estate transactions (would you have the GP do your open heart surgery? ); thirdly, select a local attorney who is knowledgeable of the area and any issues that may be local. Once attorney review is completed, you are officially under contract to buy your NJ home. This is when you complete the mortgage processing, including appraisal, scheduling and conducting all your inspections. A note about inspections: you must use a licensed NJ inspector and you have a very short time to schedule, perform inspections and receive your reports, so it would behoove you to schedule inspections very early, usually while still in attorney review. Generally one inspector will inspect the home structural, electrical, plumbing, HVAC and other defects, also arranging for radon testing, inspecting for termites and other pests, and other environmental concerns. Other inspections may be warranted, such as lead paint hazard testing or searching for oil tanks. 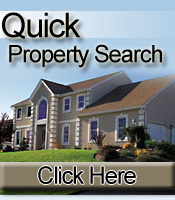 Since each property is unique, ask me and your attorney and inspector for guidance. Ask me for a short list of inspectors – I attend many inspections and I have the opportunity to see first-hand how each works. I also rely on clients’ feedback in making further recommendations. No NJ house is perfect. While on the inspection, the inspector may tell you the good parts as well as the bad but you should expect the report to lengthy and full of to-do’s. Many are simply suggestions for continued maintenance, appropriate upgrades. Minor issues are to be expected. However, you should generally expect to have a leak-free roof, major systems in working order, and a structurally sound home. If there are major issues such as those mentioned, your attorney and I will work with you and the seller to negotiate repairs or credits. At this point, your mortgage appraisal has been done and your final commitment should be available (there is a date in the contract by which you must comply and provide the mortgage commitment). Your attorney will then order the survey, title search and flood certification. Call your insurance agent and get the homeowner’s policy in place to begin the day of closing. You will need to have a paid receipt for the first year’s insurance at the closing. Give this at least 2-3 weeks. At this point, I will provide a list of the utility companies so you can be ready to open accounts for gas, electric, phone, cable, water, etc. as of the day of closing. You should plan on inspecting the house sometime in the 48 hour period prior to closing. It is important to wait for the sellers to have moved out. Generally, this walk through is conducted just prior to the closing. Coordinate with your attorney as to how much money you will need at closing. It will have to be in certified funds or bank check or wire, so allow time for this that day. Get ready for writer’s cramp and to finally receive the keys to your new home! Step 15: Enjoy your new home! Congratulations and good luck on your search for your dream home! Trish Giassa of Keller Williams Realty Premier Properties is proud and honored to guide and advocate for you in your NJ home buying process. With over 20 years experience in helping hundreds of home buyers, our team brings a level of expertise and coordination that will make your purchase one where you are in control and have all the information you need to make the decisions that are best for you and your family. You, the client, are always first. This report has been prepared to help buyers in the process of buying a home in New Jersey. It is deemed reliable but this information is not guaranteed and is subject to errors and omissions.